Recorder Students, high-level amateurs, pre-professionals and professionals play in a continuous concert of 15-minute performances by soloists and ensembles, whether all-recorder or mixed. The music performed is from many genres and eras. This event is a big hit in the ever-expanding community of recorder players as well as with listeners who are charmed by the beauty of this simple, yet noble instrument. 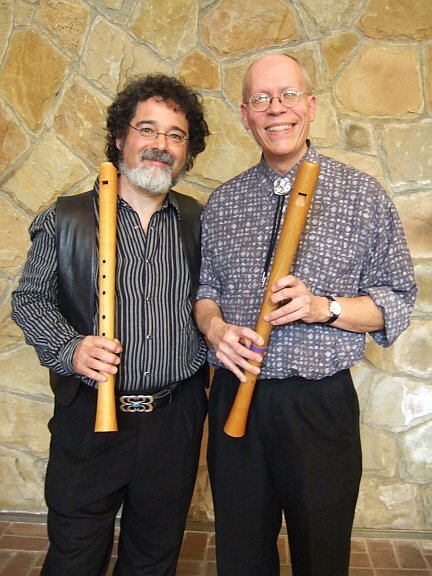 The American Recorder Society is a non-profit membership organization that promotes the pleasures of recorder playing. For almost 75 years, the ARS has provided a supportive community for all who value the recorder and its music. Its members are more than 2,000 chapters, consorts, individuals, and businesses, representing a community of players throughout the U.S., Canada, and 30 countries around the world. The recorder and its music has been an integral part of more than 600 years of the historical development of music as we currently practice it. The ARS carries on this legacy by promoting it to amateurs, professionals, and youth. Not only is the recorder a serious instrument in its own right (embracing skill levels from beginner to virtuoso), but it is a gateway to all forms of early music and to the delights of playing in social groups.